Project Management is the key component to a successful rebranding effort. 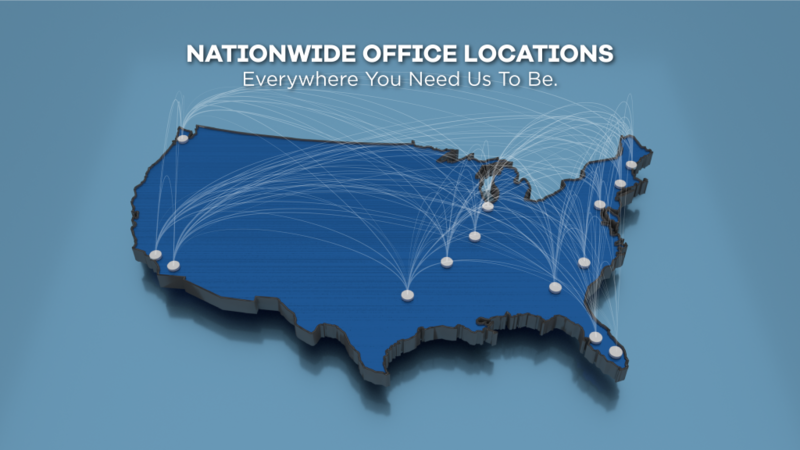 Our expert Project Managers have decades of experience working on national conversions. With our focus on communication and customer service, our team assumes ownership of your project from conceptualization to close out. A strong differentiator for how we manage installations is our “boots on the ground” philosophy. We augment our national network of installers with direct on-site support from one of our multiple locations. An on-site presence by a professional field supervisor who is familiar with your brand is essential to a smooth installation. With this process, we can deploy your brand on time, accurately and on budget. All too often brands become complacent with their sign program and vendors and overlook opportunities to reduce manufacturing, service and installation costs. Integrated Image’s goal is to minimize your budget while maximizing the impact of your signage. Do you have a current sign package that’s becoming dated or are you looking to launch a new marketing initiative? Our signage expertise will bring your concept to reality. Our Specification & Design Team will work with you to select the materials, fabrication techniques and installation methods that work best for your program. We can leverage our close relationships with LED lighting, manufacturing and raw material suppliers to negotiate contract pricing allowing you to reap the benefits. Let us develop a design that clearly communicates your message and builds your brand. Integrated Image’s 3D visualization can help you examine your ideas in views and material settings that are just not possible in a 2D environment. We can render realistic products from various angles so you can make definitive decisions before you proceed to the prototyping phase. Once confident with your new product choices, we can follow up with either a component, partial or full scale functional prototype. Prototypes can then be evaluated for construction & quality before the product launch is initiated. Whether virtually or physical, let us bring your product to life. Signage, Canopy Lighting and C-Store Lighting all have one thing in common, successful LED retrofit initiatives must be carefully planned and effectively organized. Proper due diligence including ROI studies, product vetting, geographical planning and rebate requirements are driving factors in understanding true potential savings. Integrated Image has completed countless LED Retrofits, ROI diagrams and feasibility studies. We navigate and understand the various requirements states and power companies put in place to apply for and be awarded all available rebates. Our team will work closely with you to set up and execute a program that reduces operating costs while maximizing all potential savings.